Ah yes, the 'burbs. A great place to raise a family with a wonderful selection of chain restaurants. But as I have said over and over again, there is some good stuff to be found. Case in point, Kamamarui Ramen out on Royal Oak boasts good food in a place run by Japanese people. 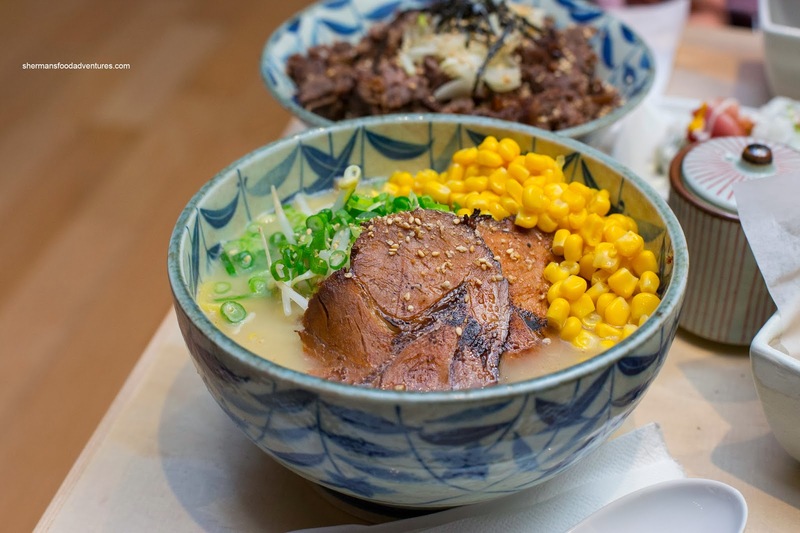 Good ramen out of the Downtown core? Well, Miss Y and I headed out to find out for ourselves. 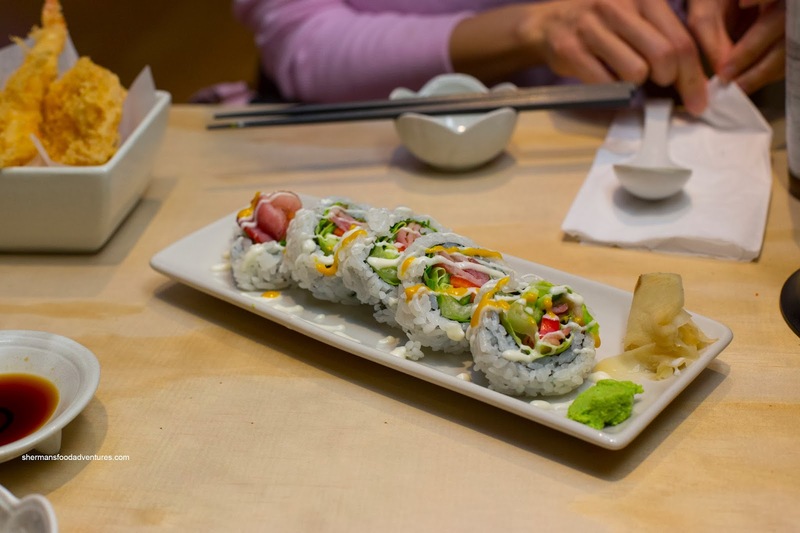 With only Kawawa and Hakkaku as the local competition, our expectations weren't exactly high. 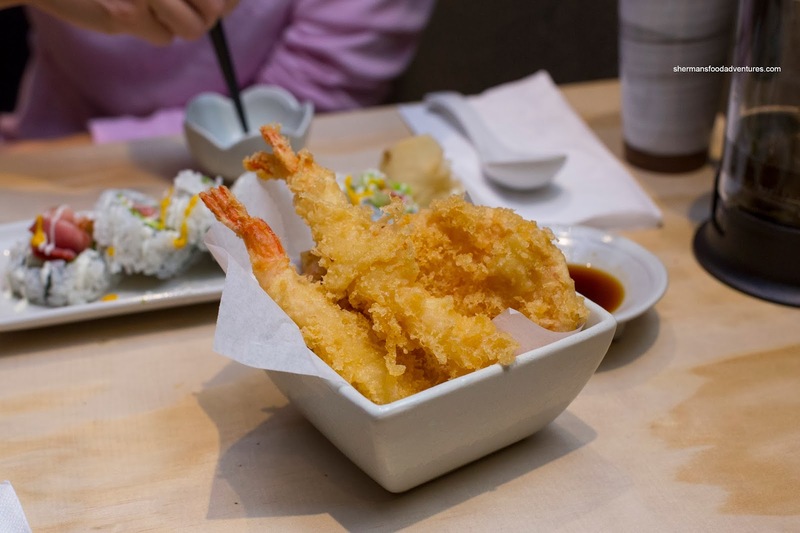 The first item to hit the table was the Prawn & Yam Tempura. It was super crispy with a thin layer of batter albeit a bit greasy. The prawn itself was meaty and had a firm texture while the yam was just right being soft, yet not mushy. Of note, the accompanying dip had a more prominent mirin slant which suited us just fine. Next, the Bacon Roll arrived sporting a good amount of meaty bacon. I found the sushi rice to be rather firm while somewhat mild in taste. As mentioned, the bacon was more meaty than fatty, which made the roll appetizing and easy to eat. We ended up sharing an order of the Tonkotsu Ramen which sported 2 large slices of chashu. I added corn and a soft egg that was served on the side. The tonkotsu broth was somewhat light and lacking in depth. However, that didn't mean it wasn't good though. We enjoyed that it was natural tasting while easy on the salt. As for the noodles, they were appetizingly toothsome. The chashu was thickly sliced, but at the same time really moist and tender. 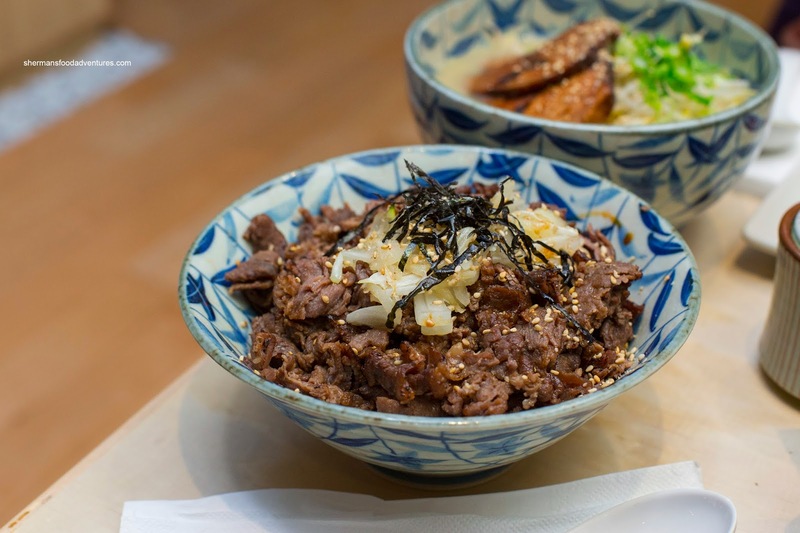 To complete our meal, we tried the Beef Don disguised as a mound of meat. There was so much of it, we couldn't see the rice and even after a few scoops, we still were digging for rice. Although slightly dry, the beef was hearty and well-seasoned being a good combination of salty, sweet and smoky. As for the rice, it was fluffy while not wet. 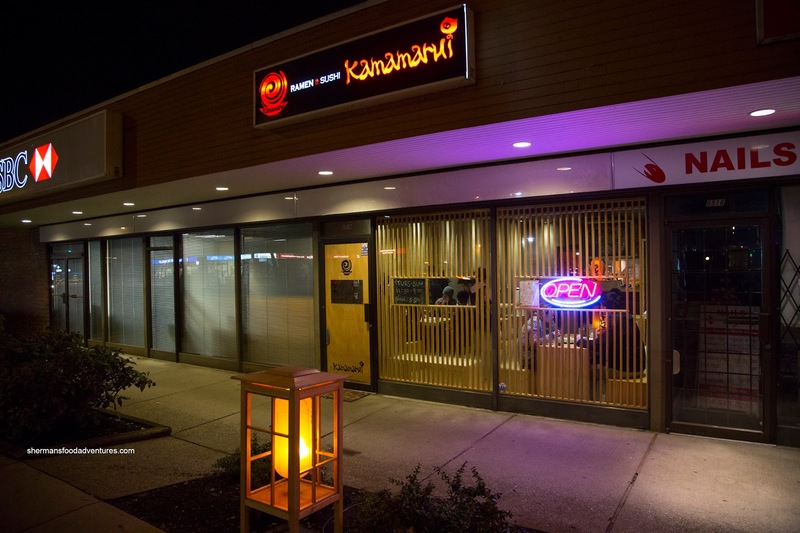 Although it is not the best ramen we've had in town, Kamamarui holds its own out in Burnaby. Went to Kamamarui the other day, not disappointed. Probably some of the best service I've had recently. Maybe next time you could try the BOMB onigiri, it is so good. We visited this place too and couldn't get enough of Shun's happy and silly demeanor!! @Aviator Wanting to try Dasarang for a long time now! It will be soon! @LR Yes, I thought about putting that in the post, but thought it would not be appropriate. Went to Kamamarui tonight. This was far better than I expected from a small place in Burnaby and I would definitely go back again. 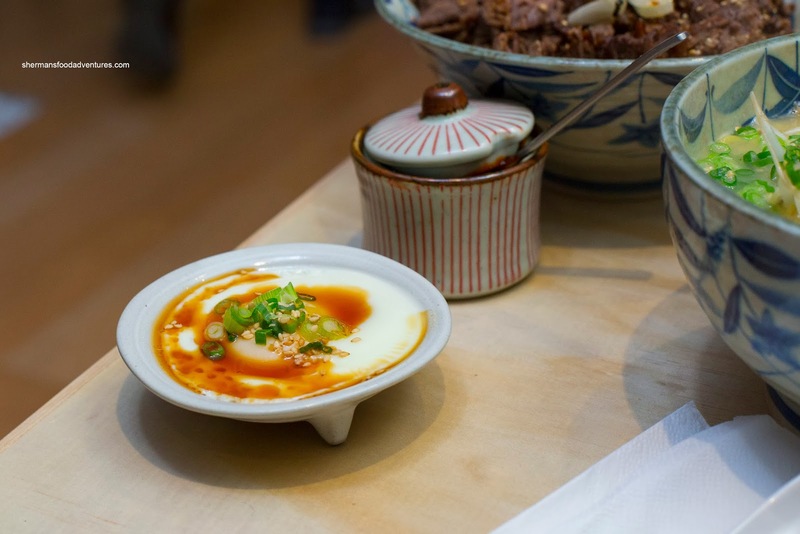 Service was fast and friendly, the ramen had a good texture, the broth was savoury, and I had the "wink" appetizer (sweeter than I expected but the freshness and combination of ingredients was excellent). Thank you for your review! @Astrocrabpuff Glad you enjoyed it!